Our company is instrumental in offering high quality SAE Flanges to our valuable customers. 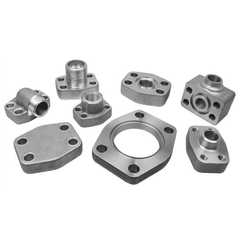 These flanges are precisely engineered from best quality metal and alloy, which are procured from well-known vendors. In order to ensure a defect-free range, these flanges undergo various in-house quality assurance procedures conducted by our team of quality controllers. Looking for SAE Flanges ?